Yay for book week! 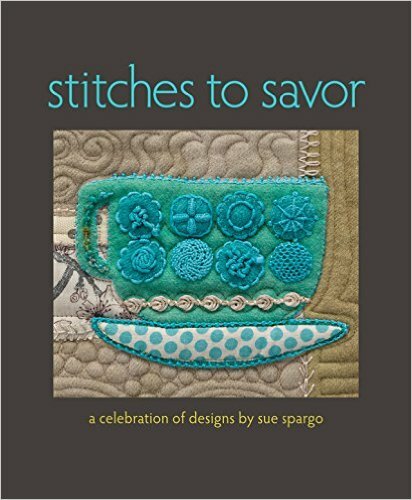 The next book on my list that I get to share with you is Stitches to Savor: A Celebration of Designs by Sue Spargo. It’s a coffee table book which means it’s full of gorgeous photography for you to pour through. 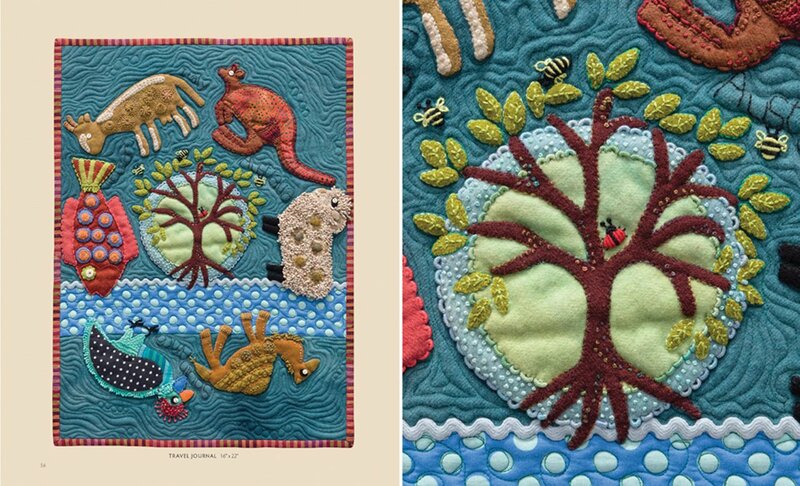 It’s 144 pages worth of full color images – eye candy for any quilter! 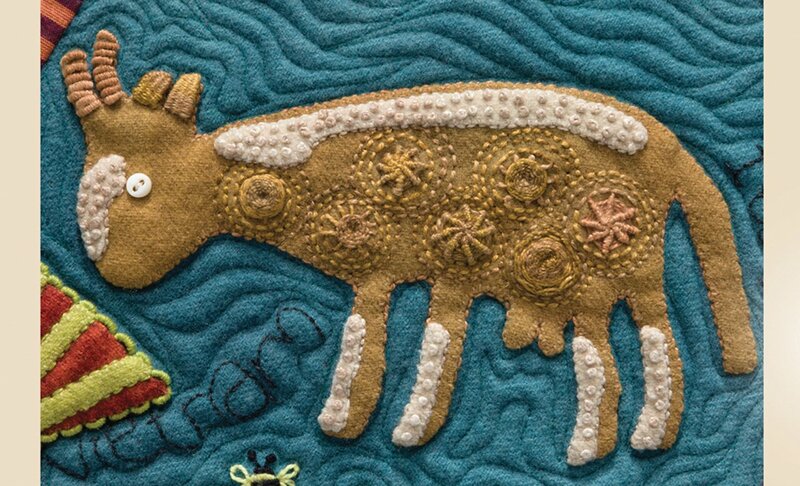 If you enjoy wool applique or handwork, the intricate details are sure to inspire you! 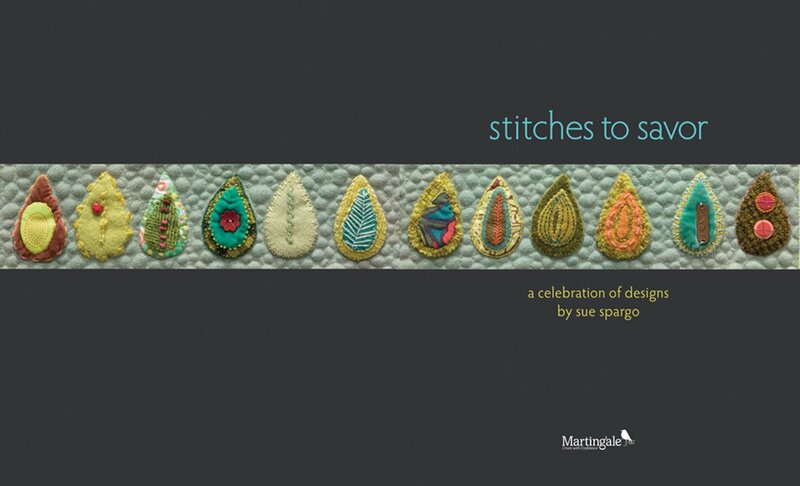 The book has very few words, just page after page of exquisite closeups and finished projects. You are right – it is eye candy!!! I don’t do this type of work but still plan to purchase this book. The photos and work are beautiful and inspirational to look at. Very nice – I think this looks like the works too of a wonderful creative artist, Salley Mavor. You might check her lovely art in her book, A Pocketful of Posies.